It is that time again, Ashes players! Earlier this week we saw some of the Allies that are a part of Echo’s deck; check them out here! 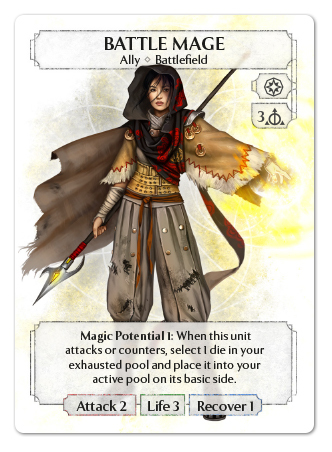 Today we will be looking at some of the Allies that are included in Jericho’s deck, the Path of Assassins. First up is the Battle Mage. Following the trend of Jericho’s deck, this Ally only costs basic magic. 3 might seem like a lot to pay for a 2/3/1 statline, but the Battle Mage makes up for the high up front-cost with her ability, Magic Potential 1. This ability can reasonably mitigate the play cost of 3 , effectively making her only a 2 dice investment! Perhaps you can even get your Battle Mage to stick around for multiple battles, turning each engagement into some solid dice profit! Being a 3 dice cost unit has its other benefits as well, as the Lucky Rabbit has a chance to return a die as well! Say hello to the biggest unit in Ashes; the Elephant Rider! Elephant Rider pushes everything to the max, whether it be the hefty cost of 7 , a monstrous stateliness of 6/6/3, or some mighty offensive and defensive abilities. When the Elephant Rider attacks, you know it is going to cause some serious havoc. 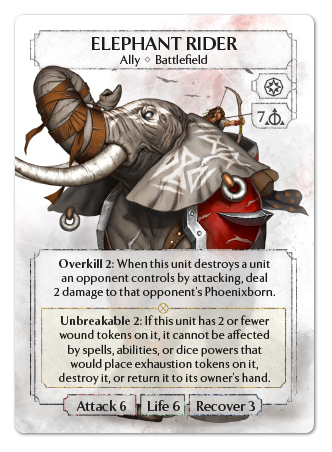 The threat of 6 attack demands opponents to have a blocker ready when the Elephant comes charging, but even then, a Phoenixborn isn’t safe from the impact of Overkill 2! The Unbreakable 2 ability also makes it difficult for your opponent to respond to the immediate threat of an Elephant Rider. Protection from cards like Sword of Virtue, Fear, and Steady Gaze can give you the confidence to send your Rider into battle without the worry of efficient counters from your opponent. Although, you may want to be aware of Ceremonial magic users, as Regress is fair game against this dynamic duo… Even still, the Elephant Rider has enough attack to overcome Regress’ -5 attack debuff, allowing you to still threaten Overkill 2 damage against small units! There are still more Allies that Jericho has in her reserves for us to see, but I’d like to conclude today’s preview with another ready spell that supports the Allies we’ve seen today. Magic Purity rewards players who play huge basic cost cards like the Battle Mage, Elephant Rider, and last week’s Turtle Guard. 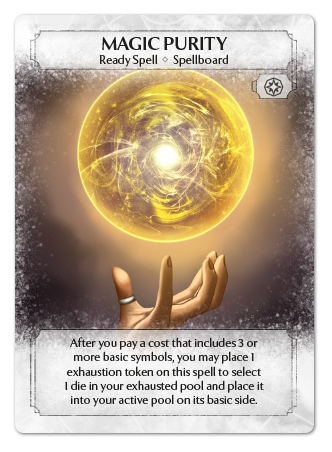 The raw dice efficiency that this ready spell provides is undeniable, and the right deck can easily gain 1 die per round for each copy of Magic Purity they get on their spellboard. Its up-front cost of only a main action paired with its actionless activation cost makes for a very easy to use economy card in a deck that is willing to support high basic costs. There are plenty of uses for Magic Purity outside of Jericho’s base deck as well. Getting discounts on Seaside Ravens, Rin’s Fury, Phoenix Barrage, and even Iron Rhino make this a very appealing ready spell for plenty of Phoenixborn! That’s all for this week! 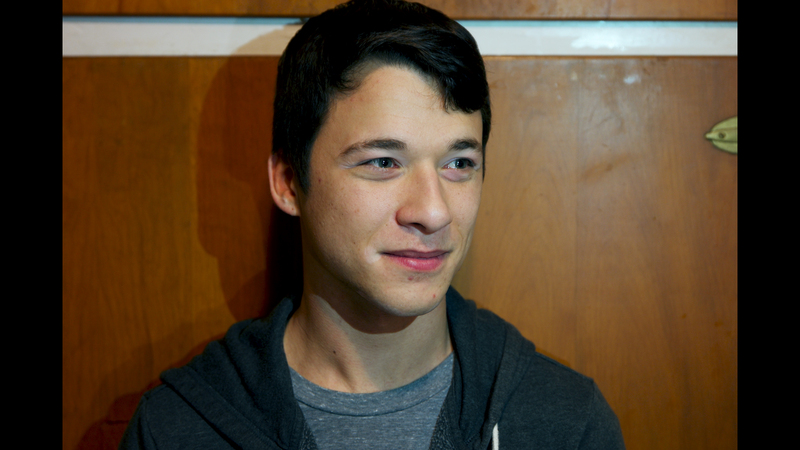 If you haven't already, be sure to check out Jericho's previous preview articles here. Remember, both the Path of Assassins and the Masters of Gravity expansion decks will be available November 9th! I’ll see you all next week as we wrap up the previews for these exciting new decks!